2nd Avenue Animal Hospital offers a full range of veterinary services to care for your pet. Learn more about our complete line of services here, and why they are important to maintaining the health and happiness of your pet. Please find the listing of service we offer below! 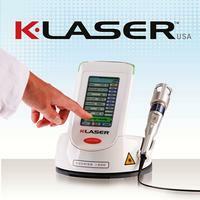 2nd Avenue Animal Hospital is proud to introduce K-Laser Class IV laser therapy for your pets. Its beneficial uses include alleviating chronic pain, accelerating healing and rehabilitation plus much, much more! Examinations, Vaccinations, General Surgery, and Medicine: Our hospital is equipped to provide diagnostic and therapeutic services to care for your pets' complete health care needs. Elective Surgerys and Orthopedics: Our state-of-the-art surgical suite allows for the performance of a wide variety of surgical procedures. Complete Dental Care: Our dental services include teeth cleaning and polishing (dental prophylaxis), tooth extractions, and oral surgery. Diagnostic Laboratory Services: Our in-house laboratory facilities provide for serum chemistry, hematology, serology, urinalysis and parasite testing. We also utilize commercial veterinary laboratories for specialized diagnostics and consultations. Digital Radiology: Our on-site, modern X-ray equipment provides high quality digital radiographs to aid in the diagnosis of many disorders. Dietary and Nutritional Counseling: We will provide guidance regarding your pet's nutritional needs for each life stage, including dietary requirements for growth, weight maintenance and performance. Laser Therapy: We have seen very successful results when treating conditions like edema, tissue trauma, and ligament strains and tears with laser therapy in pets. The best part about the laser is that it is non-invasive and does not require any type of anesthesia or sedation. It is a great medical option whether your pet is aging and has developed severe arthritis or is a 2-year old lab that strained an ACL. Prescription Diets and Pet Supplies: We will provide guidance regarding your pets nutritional needs for each life stage, including dietary requirements for growth, weight maintenance and performance. On-Line Pharmacy Services: We maintain a complete inventory of pharmaceuticals, vitamins, shampoos and heartworm preventatives to meet the needs of your pet or you can order them directly through our on-line service. The difference between purchasing prescription drugs on our website and purchasing medications on internet pharmacies is that we only sell valid, unaltered products along with a full manufacturer warranty. This is something that cannot be guaranteed by non-veterinary website. Behavior Consultations: We offer advice regarding the correction of problems such as excessive barking, chewing, spraying, scratching, digging, house soiling, and aggression. Boarding: 2nd Avenue Animal Hospital also offers separate canine and feline boarding facilities.